Before you leave our Delray Beach dental office, a temporary crown will be attached to your tooth to protect it until the permanent crown is ready. 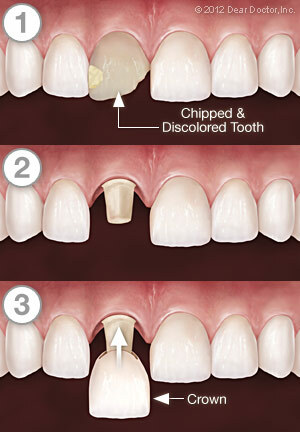 At the second visit, your permanent crown will be attached to your tooth with either a resin that hardens when exposed to a special light source, or a type of permanent cement. 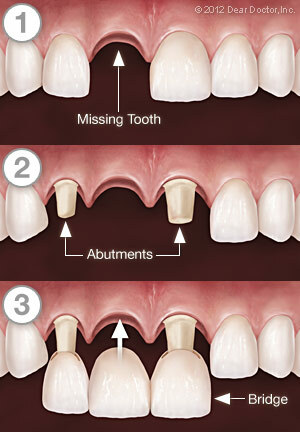 Crowns and bridgework require the same conscientious care as your natural teeth. Be sure to brush and floss between all of your teeth — restored and natural — every day to reduce the buildup of dental plaque. When you have crowns, it is even more important to maintain your regular schedule of cleanings at our Delray Beach dental office. Avoid using your teeth as tools (to open packages, for example). If you have a grinding habit, wearing a nightguard would be a good idea to protect your teeth and your investment. Interested in Crowns from Brilliant Smiles Dental?